Solid state drives have been around for a while, but it is only recently that they have become an affordable and reliable alternative to mechanical hard drives. They are still much more expensive than mechanical drives per gigabyte of storage space, but the advantages of solid state drives more than make up for the expense. Even if you are not a PC hardware enthusiast you’ll find that the advantages of solid state drives are compelling. Faster boots have long been a goal of Windows computers, but it is a goal that has been difficult to obtain. As hard drives have become faster Windows has become more complex. Solid state hard drives represent the first major advancement in boot times. The advantage is not dramatic, but it is tangible. An average solid state drive, such an OCZ Vertex, will shave between 5 and 10 seconds from the boot time of a Windows 7 equipped computer. However, boot times don’t tell the entire story. As most Windows users know there is a period of time after a computer has booted in which the computer is sluggish. This is because it is loading start-up software and drivers. This sluggishness means that while the computer has indeed booted up, it may not be usable until a minute or two later. This sluggishness can be a huge annoyance when you simply want to boot up your computer, quickly check your email, and then head out the door. Solid state drives almost completely vanquish this problem. In a comparison between a Western Digital 500 GB mechanical drive and an OCZ Agility Vertex solid state drive I found that it took Firefox an average of 48 seconds to load immediately after the Windows operating system had started. With the OCZ Agility Vertex drive this time was cut down to 5 seconds. This is a massive boost in performance which every user can appreciate. Obviously loading programs immediately after booting Windows was much quicker on the solid state drive than on the mechanical hard drive. But what about other applications, such as games? In order to find this out I again tested a Western Digital 500 GB mechanical drive and an OCZ Agility Vertex solid state drive. In this case I used The Sims 3, one of the most popular games on the PC. Again the solid state drive was quicker, although the gap was less dramatic. The OCZ Agility Vertex loaded The Sims 3 in an average time of 36 seconds. The Western Digital drive took an average of 53 seconds. This performance difference isn’t huge, but it isn’t small either, and it was noticeable on a subjective level. 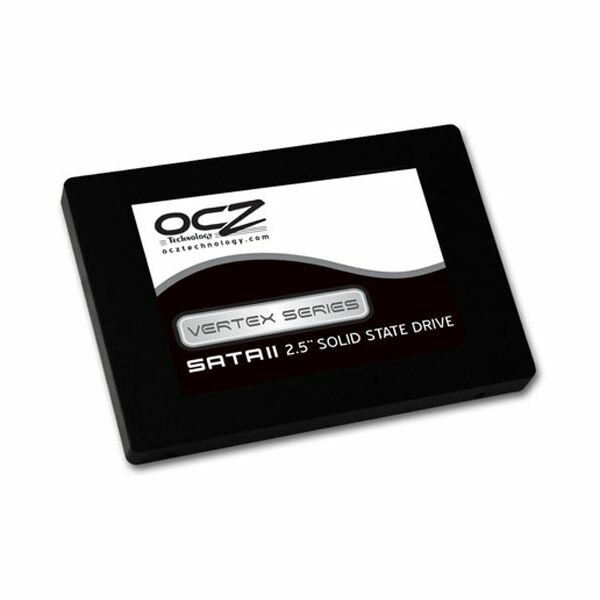 The OCZ Agility Vertex drive "felt" faster. There was however no difference in performance in-game. The largest advantage of solid state drives over mechanical hard drives is their random access speeds. When a mechanical hard drive receives a request for information it must physically move the read/write head to the area of the hard disk where the information is located. That takes time and slows down the speed at which information can be accessed. When large amounts of information are requested from different parts of the drive the mechanical hard drive has to constantly move the read/write head. Solid state drives don’t have this problem, so they can retrieve information almost instantly. This is why a solid state drive equipped computer feels faster right after the computer is booted. The mechanical drive head is busy loading drivers, so it can’t retrieve the information to load Firefox. It also results in a generally "snappy" feel to a solid state drive equipped computer. Request a file and bam! There it is. Mechanical drives usually take a few seconds. Where this really matters, however, is in servers with random workloads. A web server is a good possible example. Users are constantly requesting information which doesn’t follow a predictable pattern. Solid state drives can retrieve that data much quicker than a mechanical drive. As a result solid state drives are hundreds of times quicker than mechanical drives in certain random access benchmarks. Do You Need a Solid State Drive? You don’t need a solid state drive any more than you need a computer. But would your computer be better with one? Absolutely. Buying a solid state drive is one of only a few upgrades which result in a performance increase in day-to-day productivity applications. If you are thinking of buying a new processor because your computer feels slow, reconsider. A solid state drive would probably be a better choice. A new processor will only cause your computer to feel faster if the programs you currently run are already taxing your current processor. Your processor is only your bottleneck if you run demanding applications like the latest and greatest games or 3D rendering software. A new processor won’t make your web browser load any faster after your computer boots up. But a solid state drive will.